Hollywood – I am an actor and an ex-dope addict. If you are 35 or older you probably remember seeing me in Dracula, Murders in the Rue Morgue or any of 50 horror films over the years. If you are younger you may know me by name or reputation. I’m telling my story now in the hope that it will help young people learn about the tragedy of narcotic addiction. In a way, I’m qualified to do this. Recently as a patient in a state hospital trying to overcome the dope habit I watched many youngsters who were there – for the same purpose. What makes a drug addict? Always it seems to boil down to the same answer: there is an apparently insurmountable problem, a personality problem, a home problem, a personality problem, a home problem, a psychological problem. Narcotics seem to provide an escape. Of course, they don’t. Now from my own experience, I am trying to tell youngsters that the answer to any problem lies in work and faith. In my case the God-given help of my wife, a kind and wonderful young woman, also was important in helping me conquer the dope habit. At 73, I’m starting over in motion pictures. I’ve just finished The Black Sleep, a horror film. Yes, I’m a new man. But it was a terrible struggle. For 17 years, narcotics ruined my life. They turned my skin sallow, reduced me to a bag of bones. I was down to 100 pounds. My son, now 18, saw what horrible things narcotics did to me. Every time I took a needle, I cursed myself. I told myself each was the last. A few hours later I was back on it again. I began taking narcotics when I was a movie star. Top-flight. People catered to my every whim. One day I suffered an attack of sciatica, one of those painful conditions that comes as you grow older. 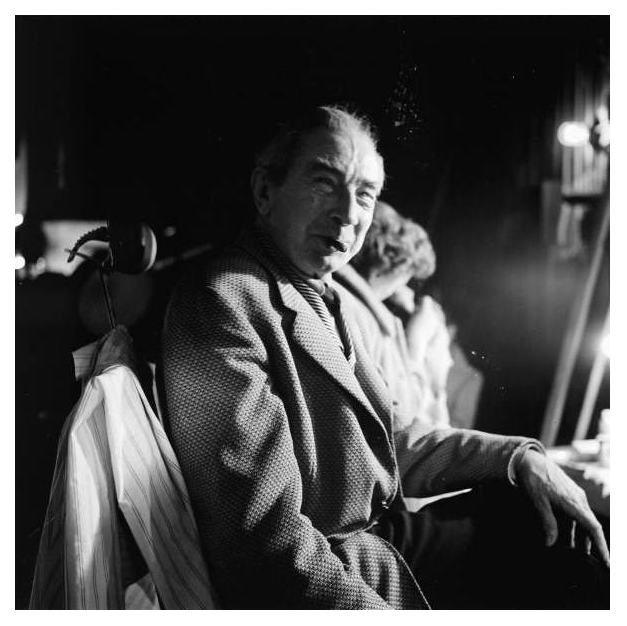 “Lugosi, “ I should have said to myself, “you’re not a spring chicken any more. You have to expect these twinges and aches.” After all, I was 56. I went to a doctor. “My pain is unbearable,” I exaggerated. “I must have immediate relief.” The doctor gave me a shot of demerol, a narcotic. The pain seemed to evaporate and I began to get an “edge,” a nice feeling of elation. A few weeks later I began having trouble with my wife. I will not go into a recitation of my domestic troubles. Anyway, my sciatica pains worsened. Perhaps it was psychosomatic. I don’t know. My wife asked for a divorce. The sciatica got worse. My agent told me that the studios were abandoning horror films. Again, the pains became intense. Instead of trying to work out my problems reasonably, I turned to narcotics. When one doctor refused to give me drugs, I saw another. When he, in turn, became wary I consulted a third physician. And so it went. Of course I could afford the narcotics. On the road I found it a cinch to get narcotics. I would simply go to doctors in each city we played. The narcotics made me dull or pleasantly drowsy. Always I used them to escape from my world of unhappy reality. I just didn’t have strength enough to work myself out of my dilemma. I had been typed as “the horror” actor. Without movie parts I was reduced to “freak” status. I just couldn’t stand it. When things were slow on the road I would wander back to Los Angeles. I was weak, depressed, all shriveled-up. I went to a doctor for a prescription. I tried often—but no success. I decided that he was right. I went to the County Hospital. Doctors there took me off narcotics immediately. I cannot describe the torture I underwent. My body grew hot, then cold. I tried to eat the bed sheets, my pajamas. My heart beat madly. Then it seemed to stop. Every joint in my body ached. From County Hospital, I was sent to a state hospital. There, I decided to hold out, to beat the habit forever. She said she realized the hell I was going through. She confessed that father had been a narcotics addict and that she had watched him deteriorate. She wrote so knowingly that my heart went out to her. Each day I waited for her letter of encouragement. It was the only thing that sustained me. With the help of Hope’s letters I remained in the hospital until I was sure I could keep on living without drugs. Last year when I left the hospital I checked Hope’s return address. I learned that her real name was Hope Lininger. When she came to visit me, I was surprised. Here was a woman, only 36, fresh, attractive, an employee of a Hollywood studio. It wasn’t very long before I fell very much in love with Hope. I told her that I needed her kindness, her strength, her care. “Why don’t you try it?” she said. Fearfully, I proposed, and Hope accepted. We were married last August 25. A few days later I began a one-man crusade to induce young addicts to submit to treatment. I preach one message: Addiction is filled with misery and torture. Only through work and faith can you achieve lasting satisfaction and self-fulfillment in life. They say that narcotics addicts never really overcome the habit, that sooner or later they succumb to temptation. That’s not true. I am proof of the fact that it is not true. It has been more than a year since I had an injection of demerol. Not once since I left the hospital have I had that awful craving for narcotics. Less than two years ago I struggled in a world of darkness, afraid of each new day. All that has changed. Now I get up every morning eager to meet the challenges of living.